Your university years are formative for a variety of reasons, but most people don’t think of them as a good time to start building your credit rating. In an effort to dispel that notion, we’ve compiled four credit cards designed only for students, which offer a range of advantages, like 0% APR, reward points for dollars spent and incentives to pay your bills on time and even to get good grades! To help you choose from the sea of cards available to you at the age of eighteen, read through this list to find a card aimed at university students (all with no annual fee!). 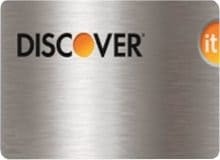 issues by Discover Financial, this credit card is beneficial to students that drive into school or eat out a lot. You will earn up to 2% cash back every quarter for up to $1,000 of purchases made eating out or buying gas, that’s an extra $20 a quarter! As you look to build your burgeoning credit score, keeping track is of utmost importance. With Discover it® Chrome for Students you can your recent FICO credit scores for free online and on monthly statements in easy to read charts. Looking to make a big purchase? Discover it® Chrome for Students also offers 0% APR (Annual Percentage Rate) on purchases for 6 months! Signing up for the Citi ThankYou® Preferred Card for College Students will reward you with 2,500 City ThankYou rewards points when you spend $500 in the first 3 months. With these points, you can buy things like SkullCandy headphones and laptop computers from Citi’s ThankYou points program. But that’s not all! Looking for a night out to relax and recharge? 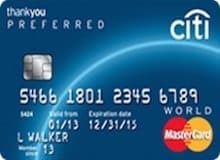 Citi ThankYou® Preferred Card for College Students will give 2 points for every dollar spent on entertainment and dining and 1 point for any dollar spent elsewhere. Are you a responsible student with a good handle on your finances? 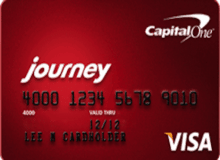 If so, the Journey® Student Rewards from Capital One® might be for you! While you will earn 1% cash back on all purchases, you can also earn an extra .25% bonus on the cash back you earn each month if you pay your bills on time. That means you get 1.25% cash back! Your earned cash back doesn’t expire and if you’re busy with studying and exams, you can also set up automatic cash back redemptions. There is no annual fee on the Journey® Student Rewards from Capital One® and you will being to reap the rewards of a better credit score after you make your first five monthly payments on time. 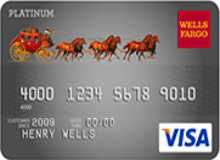 The Wells Fargo Cash Back College Visa® card lets you earn 3% cash back on all the necessities like gas, grocery and drugstore purchases for the first six months after you sign up. After that, you will receive 1% cash back on all purchases. You can deposit cash back directly into your bank accounts and use it towards tuition, or use it as a credit for further purchases. You’ll also receive a 0% introductory purchase and balance transfer APR for the first 12 months and this card has chip based technology, which means you can use it outside of the USA for those spring break road trips!